Some parts of the state have received as much as five inches of rain in recent weeks, but the state’s climatologist says the drought is by no means over. 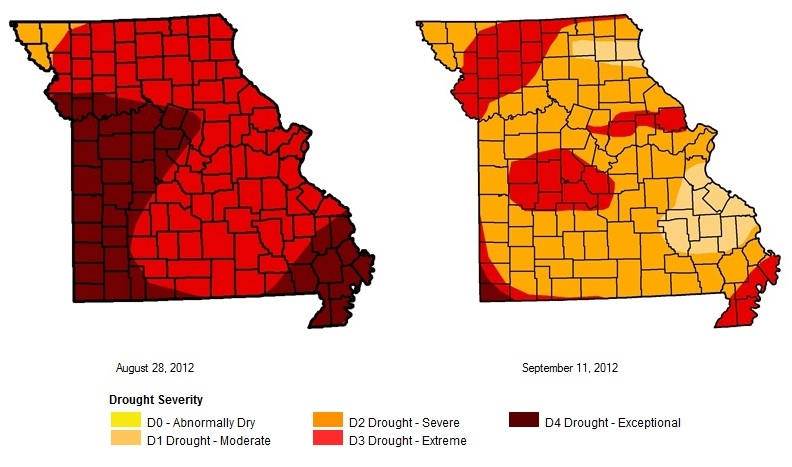 The U.S. Drought Monitor shows the difference between the drought in Missouri on August 28 and the most recent update, September 11. It remains to be seen whether this year’s drought will be limited to this year, span into next year or last even longer. 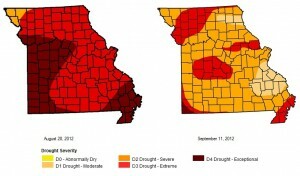 Guinan says there have been very significant multi-year droughts in Missouri, and he believes that what has happened before can happen again.